Mike Cavanaugh, MAXDigital. Photo courtesy of company. The concept of market-based stocking, appraising, and pricing has become common place in the retail automotive industry over the past decade. The basic concepts behind market-based stocking makes sense on a macro level; it is very demand-based. If consumers are purchasing certain vehicles in your market, you should source those vehicles because they are more likely to sell quickly and hopefully be more profitable (if you can acquire them right). However, at a more micro level, the strategy of simply stocking based on what the market is selling has major flaws. Jack owns a Ford store in a large market. Not only does Jack compete with the other Ford stores in his market, he competes with every other dealer within a reasonable proximity selling used vehicles, as well. In order to stay competitive, Jack uses technology to help him with stocking, appraising and pricing his vehicles. His technology provider has coached him over time to purchase vehicles that are doing well in the market; vehicles that are selling fast/with low day’s supply. Jack’s technology provider works with thousands of dealers across the country and at least 50 within 30 minutes of his store. The same vendor with the exact same technology coaches not only Jack, but all of Jack’s competitors on the same strategies. The result: 50 dealers inside the same 30-square-mile territory all sourcing the same vehicles and pricing them competitively against each other ... every day ... every week ... every month. In Jack’s market, he is a successful Ford store, but the most successful Toyota store in the region is right down the street and they sell a lot of Toyota Camrys. The technology Jack uses encourages him to buy more late model Camrys because they are “fast movers” in the market. But not being a Toyota dealer, he doesn’t get many on trade or off lease. So, Jack has to go to the auction to buy his Camrys, sometimes even to out-of-market auctions. Jack is pretty lucky and can buy some Camrys out of market pretty regularly, but with auction fees and transportation costs his margins erode quickly. In order to stay competitive and turn his inventory fast, Jack has to price his Camrys aggressively in order to get customers to even click on his vehicles and look at the vehicle display page. And while Jack is worrying about all this, almost all the other dealers in his market are doing the same thing, and pricing their vehicles aggressively with the same tools and strategy, via the same vendor’s guidance, with hopes to sell quickly as well. Unfortunately, most of the Camrys with the best options are at the Toyota store down the street from Jack, with one big difference: they are certified and Jack’s are not. So, Jack’s Camrys are a bit of a commodity. Many of these vehicles tend to age on his lot; if he’s lucky, he makes a minimal front-end profit and tries to make it up in F&I. When he’s not lucky, those aged Camrys have to be wholesaled and sent back to the auction. Jack incurs a whole lot of loss on each wholesaled Camry: depreciation, reconditioning fees, transport fees and now another sale fee at the auction. Now on the bright side, Jack’s numbers in his system may look pretty good from a sales-and-turn perspective by month’s end. He may have made a little bit of money in service also, so it’s not all that bad. But he sure invested a lot of time, effort and energy into finding, appraising, bidding on, transporting, reconditioning, picturing, and merchandising that Camry to not make any money. If only he had looked at his store history to see that he has historically done better with other vehicles like Chevy Cruzes. And if he looked a little deeper, he would find that he turned Cruzes very quickly and made a much larger front-end profit. The story of Jack illustrates the dangers of stocking based on what the market is doing and ignoring your store’s history with certain vehicles. The story also clearly illustrates why the used-car market has experienced consistent margin compressions even while more and more vehicles are making it through the wholesale market. As an industry, we have become obsessed with velocity, turn. We have ignored our experience and “gut” when it comes to stocking, pricing and appraising vehicles. We have relied too much on technology and providers to tell us what to do. Technology can be a great tool when it works, and when it is used properly. But when trusted blindly to do our job for us, technology can create substantial problems at both a micro and a macro level. In the scenario above, the only one that made money on those transactions were the auction, the transport company and the technology provider. Editor's note: Mike Cavanaugh is executive vice president of MAXDigital. 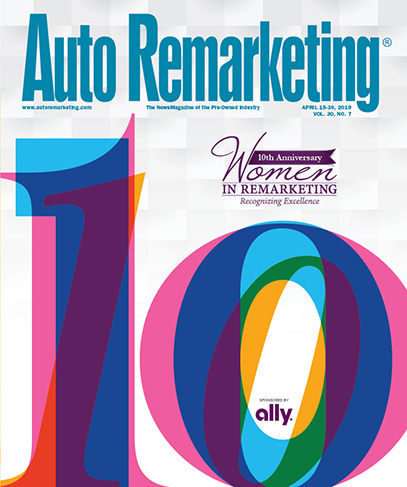 As with any contributed content, the opinions expressed in this and other editorial commentaries are solely that of the author’s and do not necessarily reflect those of Auto Remarketing or its parent company.